This book provides color photographs as well as a range map for each species listed. The detailed drawings on locomation and the different methods of movement also helps in understanding how snakes do what they do. The brief section on the workings of serpentine anatomy provide relevant information for those interested in the natural history and evolution of snakes. It also provides information for many of the sub-species found in Florida, which is something that other general field guides tent to overlook. 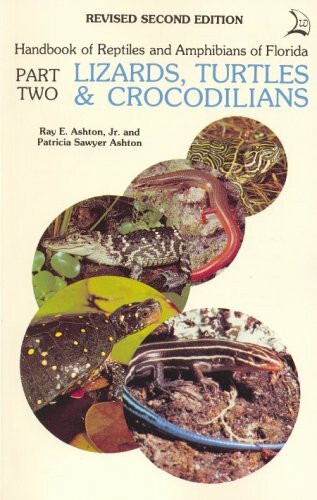 This book came highly recommended by an expert florida herpetologist. The beginner will find the detailed photographs as well as the range maps a must for identifying the many species of snakes found throughout Florida. The intermediate hobbyist will find the taxonimic listing as well as natural history indespensible in the field when trying to locate the elusive varieties of serpents. This book is really somewhat of a natural history text, as well as a field guide wrapped up in one. Its small size makes it easy to carry into the field, where it would be used most. It could be considered slightly dated, as the classification of some of the snakes as endangered or species of special concern has changed, the identification information has not. I bought the book used, so an updated version may be out. An excellent field guide for FL residents & snake lovers. 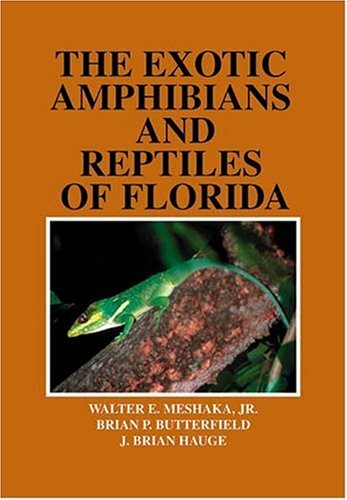 Provides color pictures, descriptions, range maps, and habitat information for each species of snake in Florida.The authors also describe similar species, natural history, and reproduction for each species.The book contains information (photos/description) of various FL environments (e.g. mangroves, cypress swamps,hammocks, pine flatwoods).Charts included provide abundance of each species in various environments.Good basic description on snake senses & locomotion.I plan to buy parts 2 & 3! 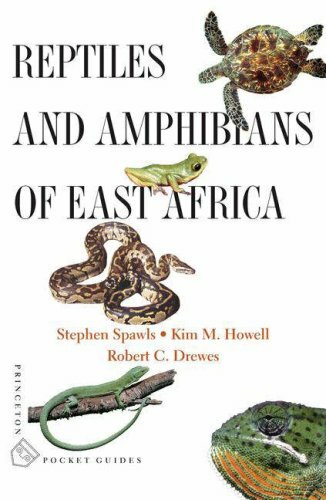 This lightweight and portable guide covers the 150 reptiles and 80 amphibians you are most likely to encounter across the five countries of East Africa--Kenya, Tanzania, Uganda, Rwanda, and Burundi. Encompassing a wealth of landscapes rare in tropical Africa, from deserts to rain forests to snow-capped mountains, this vast region is home to such famous national parks and game reserves as the Serengeti and the Selous in Tanzania and the Tsavo and the Maro in Kenya. Here you will find a corresponding wealth of secretive yet often unwittingly conspicuous tortoises, lizards, crocodiles, snakes, and frogs. Reptiles and Amphibians of East Africa offers concise and accessible, identification-oriented text, color photographs, and color distribution maps for each species. Distilled and adapted in part from the highly acclaimed A Field Guide to the Reptiles of East Africa by the same authors, this new guide is pocket-size, easy to use, and affordably priced. Reptiles and Amphibians of East Africa is an indispensable resource for any ecotourist, anyone on safari, and even the casual visitor to the region, all of whom will see many of these species without even hunting for them. I got this book shortly after returning from South America and at first glance I was impressed. The cover is decent, the publishing quality higher than expected, and the intro a good start. Unfortunately, the content is a disappointment. I have three main complaints about this volume, and some background will add perspective to these criticisms. I have been keeping and breeding poison frogs of the family Dendrobatidae for nearly a decade and am familiar with R.D. Bartlett as author of numerous articles for the pet trade. Rather than articles from the hobby, I prefer the scientific literature, journals or texts on various herpetological subjects. I have made nearly a dozen trips to the Neotropics with friends or family in the last 5 years and have seen both the dendrobatids I study as well as over a hundred species of frogs and dozens of species of lizards and snakes. My experiences in Central and South America have led me to conclude that ecotourist guides are ineffective. Whether they are for plants or animals, these guides are geared for people who are somewhat interested in a particular taxon, but relatively ignorant of the species. I have found that ecotourist guides illustrate a limited number of representative animals. This is justified in regions where there are hundreds of species including some new to science. However, the illustrations or descriptive text are so vague and generalized that they can't be used to identify species. The problem with ecotourist guides is that if you necessarily limit the number of species then you need more detail and information to make sure you are identifying the correct subject. However, most ecotourists want, at quick glance, to know what they saw and rarely require great detail. My first attempts to identify birds from an ecotourist guide were frustrating because of the lack of detail. I now travel with detailed excellent bird guides from various regions. I have been awaiting the herp equivalent of these books but the Bartletts' ecotourist's guide falls well short of the mark. The information offered is vague, downright silly, or wrong. For each animal there is a species account that includes size, identifying features, voice, reproduction, similar species, habitat/range, and comments. Size is a generalized descriptor but it frequently does not help in distinguishing between similar species. Identifying features usually state the obvious but after reading a number of these one gets the impression that an animal could not be identified based on what the Bartletts have written. Voice descriptions are useless. Frogs usually call in mixed species choruses so one would have to have a calling animal in front of them to ascertain what it sounded like. Many frogs quiet themselves upon human approach so it would take patience to catch a frog species calling. I don't believe the average `ecotourist' would make that effort. The calling description is also difficult to use. What is a "series of peeps", "two syllables often repeated", or "repeated buzzes"? The habitat/range info is equally useless. Take this quote from Platemys platycephala: "Although essentially aquatic, twist-necked turtles wander far overland during the rains and when water levels are high. They may be left high and dry as the waters recede." Does this mean one can find this turtle anywhere in the entire Amazon basin? Numerous ranges are listed as primary, secondary, or edge habitats or entire countries. Well of course! I guess it wouldn't be in the book if it didn't occur in the Amazon! Ah, but then that would be an incorrect assumption. Dendrobates azureus and D. tinctorius are poison frogs inhabiting the Guiana shield of South America. This geographically distinct region from the Amazon consists of a massive up welled landmass on the northern edge of South America. Take the following account of D. azureus. Voice: "Males produce easily overlooked peeps." The call of a male D. azureus is actually a soft buzz much like the electronic ballast of a fluorescent light fixture. Similar species: "Some dyeing poison frogs (D. tinctorius) are quite similar in color, but they usually sit in a more erect posture and often (but not always) have at least a little yellow on the back." Are the Bartletts suggesting that posture is an identifying characteristic of these species? They seem to think so, as they repeat that stance shortly thereafter under the account of D. tinctorius. Habitat/range: "This poison frog has become quite uncommon over much of its original range and is now found in isolated pockets of pinelands and surrounding rainforest near the Brazilian border in Southwestern Suriname. Of difficult access, this region is technically somewhat north of the actual delineation of the Amazon Basin but is drained by several rivers that do terminate in the Amazon." What exactly was the original range of this species? Difficult access to be sure. An expedition to collect this extremely rare species a few years ago was restricted as the local indigenous community controls the area. This region is not in the Amazon proper, but even more glaring is the Bartlett's stated reason for inclusion that the region has rivers that drain in the Amazon. Aside from the absurdity of that argument most of this region's rivers, the Sipaliwini included, flow north and drain into the Atlantic Ocean. So why are D. azureus and D. tinctorius included in this book? I can only conclude that they make pretty pictures, and like much of his dendrobatid section, are based on their popularity in the pet hobby. The entire dendrobatid section of this guide is filled with errors. The indigenous people of the Amazon did not use these frogs to "concoct a potent toxin from these compounds with which they coat darts and arrows." Only the Noanamá and Emberá Chocó Indians west of the Andes used frogs for poisoning darts. Most Amazonian hunting poisons are made from plants. The Bartletts frequently start to use locale as a defining characteristic for species but then lists the range as so wide, such as southeast Peru, that species overlap makes this technique useless. In fact they give no range for Dendrobates imitator and to beat that they include an incorrect photo of it. The Bartletts list the range of D. castaneoticus as Northeast Brazil (! ), which is a massive area. Caldwell's description of the species specifies a much more restricted region. Under D. quinquevittatus they again say to use range to distinguish it from D. ventrimaculatus, yet the two species do have range overlap. They include an incorrect photo of D. quinquevittatus. They state that D. reticulatus are arboreal and while they are capable of climbing most hobbyists and field biologists know that they prefer a terrestrial lifestyle. Most of his accounts on Dendrobatids seem based on their, or others', hobby/pet trade experience. Many of the poison frog photos are of captive specimens. I wonder why they relied on these instead of in-situ shots of these animals if they were as widely traveled as they claim. The Bartletts' vague mentality carries on in nearly every aspect of this book. Take the species account of Hyla leali.Bartlett calls it a non-descript frog that can most reliably be identified by what it is not (?!). There are hundreds of species of hylid frogs in the region. His photo of it is a Hyla brevifrons. Writing of vipers, they state that captive Bothriopsis bilineata can kill a lab mouse quickly.They remark repeatedly that nocturnal vipers are more prone to bite after dark. Obviously these comments are fluff and seem to be just words to fill the spaces; perfectly meaningless for identification or natural history. The errors go on. I thought of listing them but there are simply too many to include here. Not to mention that I'm not being paid to correct the Bartletts' mistakes. My last critique is of the photos. They are generally good and usually catch the identifying characteristics of the frogs, but the print quality is poor. It seems as if someone went bonkers with the hue/saturation settings in Photoshop, as many of the bright colors come off as garish and inaccurate. Some appear as if printed with a color laser printer. Nonetheless, the photos are the only useful part of this book. In fact this book would be more useful if it were just a collection of photos with species captions. That could certainly limit the number of inaccuracies. The authors present themselves as Amazonian experts but after reading through this work it seems they just made a number of trips to the Iquitos region, taken a bunch of photos of the region's herps (as indicated by the location captions), and decided to publish a book. I would guess that many of the animals were identified for them; otherwise some research would have produced a deeper knowledge. The topic seems broader than their experience and their facts and natural history information come off as made up or based on limited dealings with the animals. They certainly could have benefited from delving into the literature on ranges, natural history, and other details that scientists have been documenting for years. If you have herp experience or are serious about these animals then I can't recommend this book. It is inferior to Rodriguez and Duellman's, Guide to the Frogs of the Iquitos Region, Amazonian Peru, and Dixon and Soini's guide to the Reptiles of the Iquitos region. This book does have more photos, some of which prove useful in identifying animals. But if you were to take the Bartletts' advice and travel to the region with any of the South America tour companies, many with herp experts, then those experts will likely identify the animals for you free of charge. A lengthy inset section of full-color photographs beautifully illustrates Reptiles And Amphibians Of The Amazon: An Ecotourist's Guide, which is a straightforward listing of species of frog, salamander, turtle, lizard, snake, and more. Each entry describes the species' appearance (with a note in regard to similar-looking species), habitat, reproductive cycle, and much more. 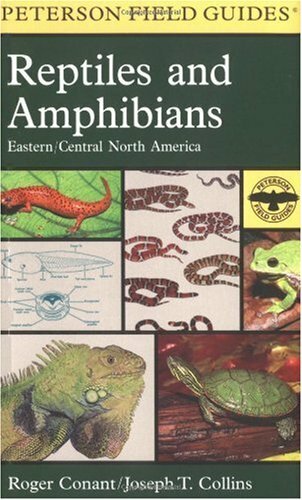 Reptiles And Amphibians Of The Amazon an excellent catalogue and reference for field identification. Also very highly recommended is the Bartlett's A Field Guide To Florida Reptiles And Amphibians. The latest findings, brought vividly to life. Each species listing has a "factfile" of essential data: scientific order and population; distribution (with a color-coded map) and habitat; size and color; reproduction and life cycle; longevity and conservation status. New species and genus totals for all groups. This book is the "Bible" of Herpetological field guides.It encompasses all of the herp taxa in beautiful, detailed drawings with excellent natural history to accompany each species.It is a bit outdated because there have been many taxonomic changes, but it is still the best available guide out there.If you want to go herping or just familiarize yourself with the amphibians and reptiles in your backyard, this is a must-have book. I LIVE IN AN AREA THAT HAS ALOT OF WILDLIFE. THIS BOOK HAS BEEN VERY HELPFUL IN IDENTIFYING WHAT I SEE AROUND HERE. I love this book. I use it for most of my class and field trips. It is very useful and the pic are colorful and clear. The info is precise and understandable. Great Resource! By far the best guide for the amateur or professional. No other guide can come close to this one. No fluff, no wasted space. It's been around since 1958 - frequently updated and appended. I can't count how many copies I've acquired over the years. species, including English, Latin, and Arabic names; world and Egypt distribution; distinguishing features; habitat and ecology; behavior; and conservation status. Included too are line drawings to illustrate key identification features and differences between species. Finally a guide that covers Egypt in a understanding matter. No highly scientific drawings in black and white, but nice colour photography,distribution maps and some drawings. But then the book would be a lot more expensive. It is clearly made for a broad audience, from scientists to herp fanatics to tourists. A Guide To The Reptiles And Amphibians Of Egypt is a concise, solid, and up-to-date reference especially for herpetologists and natural scientists in need of a quick reference to the 1180 species currently recognized within Egypt. Each species' entry includes information about its taxonomy, identification, natural history, ecology, and conservation. 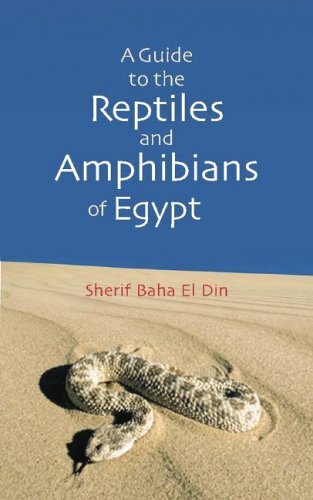 Author Sherif Baha El Din has spent twenty years researching and studying the reptile and amphibian fauna of Egypt; his meticulously gathered data is supplemented with over 130 color photographs and black-and-white line drawings, accurate distribution maps, and a bibliography. 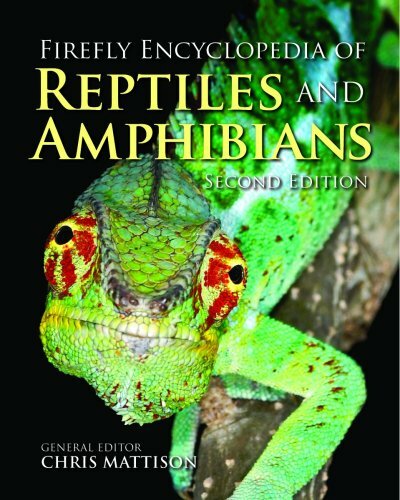 Featuring sufficient detail and scientific rigor for professionals while retaining an accessible narrative style for amateur nature lovers, A Guide To The Reptiles And Amphibians Of Egypt is a quality reference of the highest order. I think the Peterson First Guides are great, I have four different ones and use them all the time.The Reptiles and Amphibians guide has great pictures and they seem very accurate.While I haven't seen a large variety of species yet, those that I have seem right on.In fact, when I was a kid we rescued an eastern box turtle from the road (it had been hit and we nursed it back to health), and the picture in the guide looked just like it.These guides are not for professional ID-ing of species I'm sure, however, for the casual observer like me, they are perfect. I purchased 4 of these books ( all different) as gifts for mytwo nephews. I also purchased a magnifying glass for each of them . They are curious kids and really enjoy this kind of stuff. These books are full of information easy to read and understand, compact in size and just all around great books/guides. My husband and Ialso have a set of these books and have found them to beperfectwhen we want to look up something up. Like the pecular looking frog we found on our deck last summer or the snake the cat brought us. they are great for kids and adults. These guides are a real bargain too! !Highly recomend! This book is a good read, not sure all kids will like it but our girl is very interested in animals and reptiles, she has adsorbed a lot from this book. 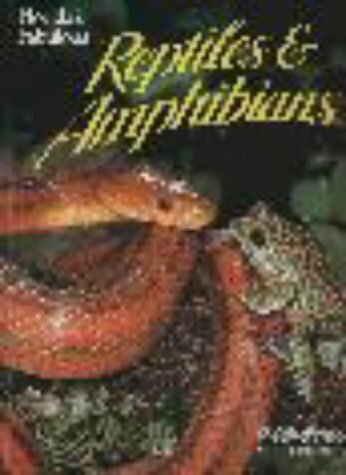 Really nice, descriptive, and complete book on reptiles and amphibians of GA.The book gives a nice description, pictures, territory, and habits to help one ID a snake, frog, lizard, etc.I have not had this book long, but have already ID-ed a few critters I've seen in my backyard and while hiking.Highly recommended. This book provides a comprehensive overview of a wide range of species in a clear and well organized format.It's not a technical biology textbook, however, so there may not be enough detail for someone with more specialized knowledge of amphibians and reptiles.The book is fairly thick and heavy and not suited to carrying in the field, if that's what you want.However, it's just fine for sitting on a patio and looking up whatever you've seen in your garden or flowerbed. 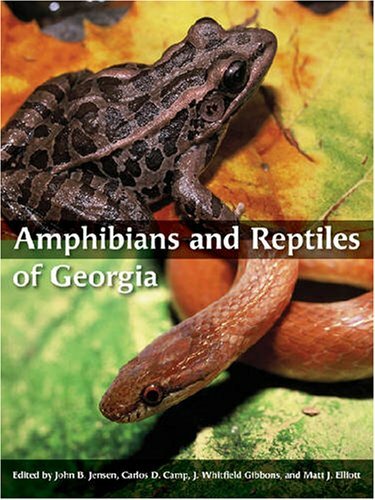 I found this book to be a comprehensive and outstanding reference book about amphibians and reptiles in Georgia. It's also beautifully presented with a stunning color cover and numerous color photo illustrations throughout. I eagerly added this book to my collection but was disappointed in its brevity in several areas, especially the topic of subspecies. Subspecies, race or geographical variation is an important element of herpetology. Comprehensive it is not. Their format also leaves a lot of wasted space. A nice looking book. 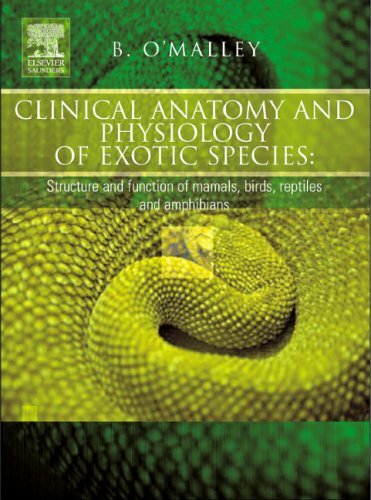 As veterinary physiologist i thinkthis book is too poor of informations both on anatomical and physiological aspects of exotic animals biology. I think that a good zoology book could cover this arguments in a better way and for a clinical approach it's better a clinical orienteered book. Although this book really wasn't designed as a field guide (i.e. field use), its functional role in reptile and amphibian literature pertaining to the exotics of Florida is just that.In other words, it beats everything else currently out there on the subject and should be carried in the field.The pictures are decent (though not great) and there are very helpful county maps for each species, along with species descriptions, similar species comparisons, histories of introductions, habitat and habits details (very useful), diet information, known predators, and reproduction data, if available.I would have been completely lost on a recent herping trip to Florida if I didn't have this book with me to identify the non-natives I encountered.Although other Florida exotic publications exist, this one is the most current and I'd say the best. Beware that most field guides include only a small portion of the species this book encompasses.This is a must-have for anyone herping in Florida. A great Book for any Herper!!! Most people have limited knowledge about the reptiles and amphibians found in the Great Lakes area, so they do not realize the importance of these species to the environment. This book by James H. Harding is a welcome volume that is sure to increase the awareness and knowledge of these often-misunderstood Great Lakes animals. Reptiles and Amphibians of the Great Lakes Region offers thorough coverage on all the important subjects and issues confronting the world of herpetology today. While being a volume of great usefulness to naturalists in this field of study, it is also accessible to high school and college students. It serves as a handy reference tool for the many people who live in the Great Lakes wilderness areas and for tourists venturing into the wild for the ¹rst time. James H. Harding is among the most respected herpetologists in the Great Lakes area. Throughout his career at the Cranbrook Institute for Science and Michigan State University, Harding has been very active in educating people about snakes, turtles, toads, and lizards through his numerous books, articles, and presentations. Michigan is not a state that is well-known for its reptiles and amphibians, but if the whole drainage basin of the Great Lakes is taken into account, as it is in this book, we host a total of 33 amphibians (mostly salamanders!) and 42 reptiles (mostly snakes). "Amphibians and Reptiles of the Great Lakes Region" starts with a preface on how to use this book, followed by a brief 34-page introduction to Herpetology.Most of 378 pages are taken up by descriptions of the 75 species of reptiles and amphibians that might be encountered by those of us who live near one of the Great Lakes.The color photographs and distribution maps are well-suited for species identification.I was able to recognize a pair of snakes that rove through a swampy area near our driveway as Northern Ribbon Snakes (Thamnophis sauritus septentrionalis), a handsome species of garter snake.The frogs that are currently hopping through the lawn are Wood Frogs (Rana sylvatica), not a brown variation of Leopard Frog (Rana pipiens), as I had originally thought. Each of the species narratives is divided into the following sections:"Description;" "Confusing Species;" "Distribution and Status;" "Habitat and Ecology;" "Reproduction and Growth;" and "Conservation. "The author stresses 'nonconsumptive' observation of these interesting creatures in their habitat, since many of the species are in decline.Newts seem to be especially vulnerable to degradation of their habitat and the author suggests conserving and protecting them by "creating ponds that are close to woodland habitats. "I've lived in Michigan all of my live and have never seen any form of salamander, including newts, so I'll have to start looking more closely in and near the local woodland ponds.They are not for picking up, though.The author states that all members of the Salamandridae family have skins that "are well supplied with poison glands that help discourage predators." "Amphibians and Reptiles of the Great Lakes Region" is a well-organized, well-written, and well-illustrated guide for all budding herpetologists or for those of us in the region who are curious about our natural surroundings. Mr. Harding is fairly well known in Michigan. When he does public speaking about his loved amphibians and reptiles, people respond well to him. This book shows the depth of his love for the natural world and his knowledge of these underappreciated creatures. Since there are relatively few amphibians and reptiles in the Great Lakes area you don't have toknow 100s of different species. That alone makes identification easier. The high quality color photos and excellent descriptions in this book make identifications even easier. Mr. Harding's text includes general biological information about the various creatures described in the book--frogs, toads, salamanders, newts, turtles, lizards and snakes. So, in addition to helping with identification, this book also helps the reader understand the biology and ecology of the animals. Though most people have little love for these animals, Mr. Harding's book will help us appreciate their places in the ecology and their biological functions. 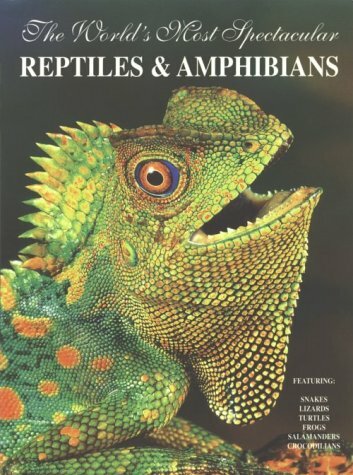 Great read for any lover of reptiles and amphibians! 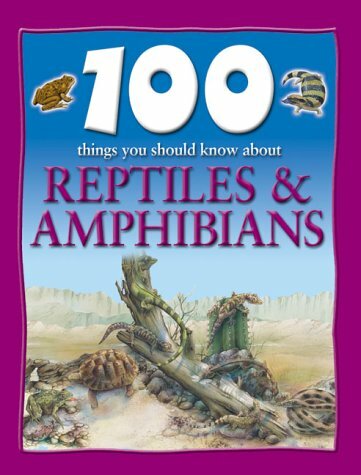 A wonderful guide for identifying and learning about reptiles and amphibians in Alabama. I love this book because it goes into great detail about specimens. It is so much more extensive and educational than a field guide. 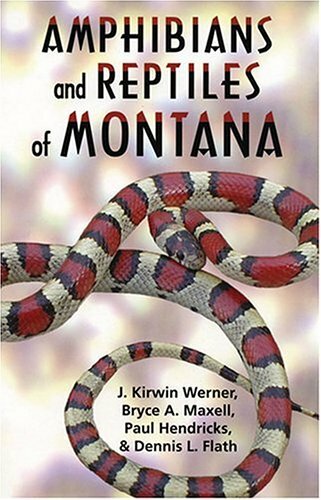 I have identified various herps correctly using this book. The only aspect I would change would be to include color photos of the animals described. The black and white photos are great but you can not see the beauty of the wonderful reptiles and amphibians. It just makes me want to go out and discover the live specimens for myself. A must have addition to anyone's library. 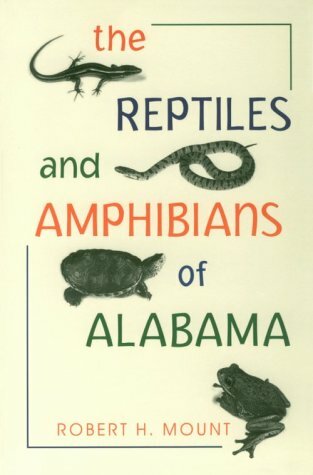 The BEST book on Alabama herps, period. 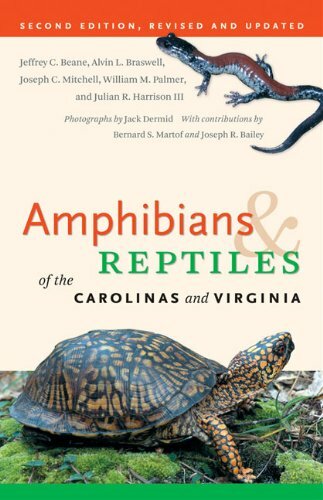 Revised and updated to reflect the most current science, and including 30 new species, this authoritative and comprehensive volume is the definitive guide to the amphibians and reptiles of the Carolinas and Virginia. The new edition features 189 species of salamanders, frogs, crocodilians, turtles, lizards, and snakes, with updated color photographs, descriptions, and distribution maps for each species. It is an indispensable guide for zoologists, amateur naturalists, environmentalists, backpackers, campers, hikers, and everyone interested in the outdoors. A very good introductory book, but it should include all subbspecies.There is also room in the coverage of the anole to discuss the "roach" on the back of the neck of breeding males.There needs to be a photo of this, because if you encounter one, you might think it is a different species, as I did this summer (thank goodness for the internet! ).One small criticism is the description of the box turtle as having a brown carapace.This should read "brown to jet black".There is definitely a good percentage of Caroilna's box turtles that have BLACK shells !